Applying painter’s tape to paper is obviously a problem because it doesn’t come off. I’m hoping that somebody’s found a contact paper with like a post-it adhesive to it, or a static cling, maybe? As always, your collective knowledge and expertise is appreciated. There is a paper tape for medical use that you can use, but it is expensive. It’s called 3M Micropore tape. If you fold it back on itself at one edge (to give yourself a handle of sorts) before placing it, you can peel it back off of even Japanese rice paper (tissue) without any damage at all. But that comes in 1 inch widths. someone on another thread mentioned easy mask, I bought a roll from Signwarehouse 12" wide 150" long for anround $50 US, it worked great for me. it is a low tack paper tape. I didn’t quite see a 12" wide option (which would be a preferable option, so I wanted to check in case I was looking in the wrong place. I used it on 1/8” plywood, the wood has to be smooth, worked quite well for me. It’s twice as expensive as the sign warehouse stuff, and I wouldn’t be surprised if it’s the exact same product, but it does have the fancy guarantee stamped right on the box saying it’s laser-safe making me feel all warm and toasty inside. Just to be sure… you have tried going with no coverage and you did get a mark, and don’t want that mark? Some things I have worked with don’t smoke very much, so I can leave air assist turned off and see little difference between masked and unmasked results. Anything so delicate painter’s tape doesn’t work seems likely to have a chance at being low smoke as well. I use TransferRite (which is sold by most all signage suppliers including signwarehouse) for applying vinyl. It has been the best for me in terms of staying flat, not curling or lifting, etc. I use the medium-tack most of the time. Their website specifically mentions laser applications. Don’t trust me, i’m just someone on an internet forum, but feel free to contact them or whoever else you are going to buy from. Most of those tape manufacturers, when asked about lasers, will say “yes, it is safe” or “gee, I don’t know”. None of them told me “unsafe”. I don’t like to hear “i don’t know”. 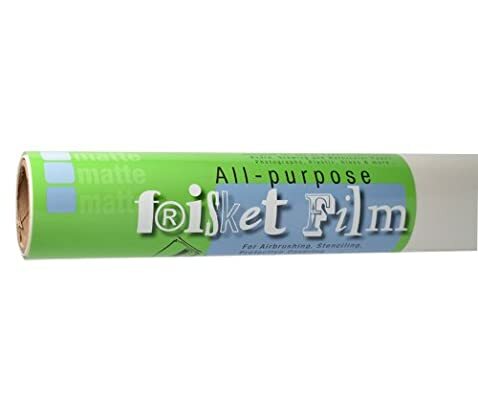 I have had issues with some brands of transfer tape tearing on the roll, but that could have been from external environmental factors (humidity, being mis-handled in packaging or shipping). I have found what I like and I’ll stick with it unless I find it underperforming when the laser arrives. edit- NOTE: I prefer to buy it from Fellers who will match online prices and give me same day or next day delivery for no extra charge. They are industry suppliers who require an account, and are not an option for hobbyists or home users. But if you are a business, an account costs you nothing and saves you much. Thanks for that info. I hadn’t heard of Fellers. I looked them up and found a facility an hour and a half from here. I’ll look into using them for my vinyl and future Glowforge supplies. Fellers is focused a bit more on the wrap side of things, but they carry other traditional vinyl supplies as well. They are a great resource if you need to stick graphics to a surface you have questions about. They buy and sell a huge volume of vinyls, so they are more likely to have fresh stock. You don’t want old vinyl, or old tape for that matter. The adhesives have a shelf life, and can be greatly affected by heat, humidity, and proper storage. Before you buy anything else, you should try just sticking the tape to your shirt, jeans, or even your skin a couple of times. It helps knock down the tack so it comes off of things much more easily. Nice tip! Resourceful you are. I have dealt with Sign Warehouse quite a bit. I don’t have any experience with lasers, but I do expect that product will work on most things. I have used it, and it is fairly low tack. I would test it on more delicate items before production though. I don’t think it will work straight off the roll on paper. I used it primarily for Oracal(not sure if I spelled that right. It is not the standard spelling.) brand vinyl application. One trick I devised to reduce the tack was to pat the adhesive side on my jeans to pick up fibers. It worked great for what I was doing, but I suspect it could cause flames under a laser. I’m not sure if that would be problematic or not. I would also warn you about Sign Warehouse. They have great pricing and carry good products, but in my experience and many others I have spoken with, their customer service is less than stellar. On several occasions, they sent me the wrong product. It never happened with application tape, so maybe you won’t experience the same. It primarily happened with them sending the wrong vinyl color, and happened multiple times on the same order on a few occasions. Also, should you choose to order from them, I recommend calling the order in rather than using their website. If you place an online order and the product is not in stock, you don’t get any notification that your order will not arrived when you expected. I called them after making that mistake and they told me it was their policy. I don’t mean to slander them. It’s been several months since I used them, and the last time I did, they had just changed management company wide. The issues may have been resolved. I just thought I’d share my experience in case it may be helpful to a fellow “forger.” Sorry for being so long winded. Good luck with your situation.